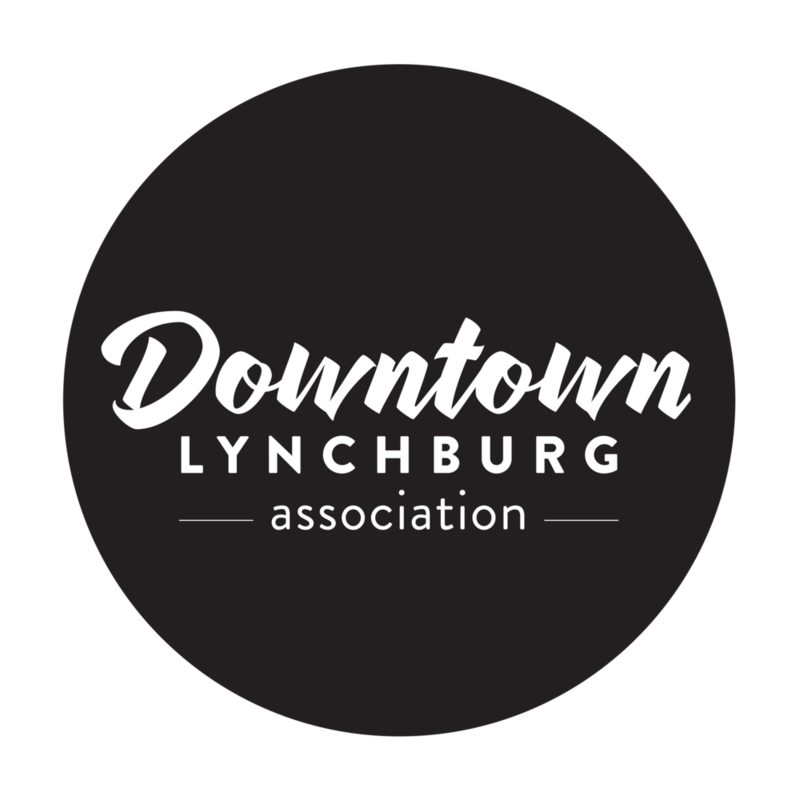 It is almost July and summer is in full swing in Downtown Lynchburg — which means outdoor activities, plenty of sunshine, and of course lots of ice cream to help beat the heat! Since July is National Ice Cream Month, we thought we’d put together a list of the best places to grab a sweet treat downtown. Because there is no such thing as too much ice cream, especially in the summer, right? Calling all ice cream enthusiasts! This parlor has something for everyone — whether you’re a chocolate lover, a fruit fanatic or a fan of fun flavors like birthday cake and cotton candy. Feeling a bit more adventurous? Check out their all-new rolled ice cream, made right behind the glass. Try the “Oreo Overload” for a total chocolate explosion, or the “Campfire” flavor, complete with crumbled S’mores Pop-Tarts, marshmallows, and graham crackers. If you're craving a walk down memory lane, the shop even serves a rolled ice cream with all the childhood favorites, including fruit loops and rainbow sprinkles. Perhaps best known for their donuts and beautifully decorated cakes, Mrs. Joy's is expanding their menu this summer to offer some refreshing twists on classic bakery items. Order the ice cream sandwich — a choice of brownie or cookie — packed with chocolate, black cherry, mint chocolate chip or vanilla ice cream. Also be on the lookout for the newest addition, the whoopie pie ice cream sandwich, coming soon! There nothing quite like a classic ice cream sundae, and Bootleggers makes one of the best downtown. Drop by and order the chocolate, strawberry or caramel for a refreshing treat that’s perfect any time of the day. Looking to try something new? Order the vanilla ice cream bowl, served with deep fried Oreo cookies, for a unique texture and flavor that will keep you coming back for more. When it comes to gelato, Altus Chocolate is a master at recreating the authentic Italian dessert. The shop makes a variety of unique flavors, including white chocolate raspberry, lemon blueberry, sea salt caramel and fresh coconut. Each gelato is made with all-natural ingredients, and free from preservatives and colorings. Enjoy a scoop in-shop or on the go for the perfect solution to any craving. 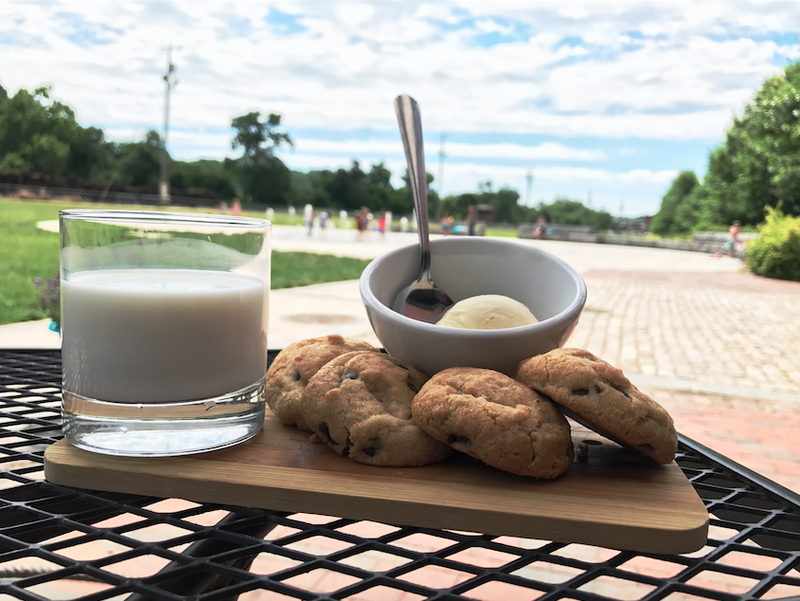 Visit the Depot Grille for an all-American ice cream experience. The restaurant borders the James River and is the perfect stop after a walk or bike ride downtown. Drop in, sit at the soda shop counter and enjoy a dish of chocolate or vanilla ice cream. Want something a little different? Try one of their milkshake combinations to help cool off, or a bowl of sherbet for a fun and fruity blast of nostalgia on a hot summer day. Looking for a coffee fix that won’t leave you completely melted in the summer heat? Drop by the café to try a famous “Lynch-Vegas Affogato.” It’s made with scoops of rich vanilla ice cream, and covered in house made espresso. 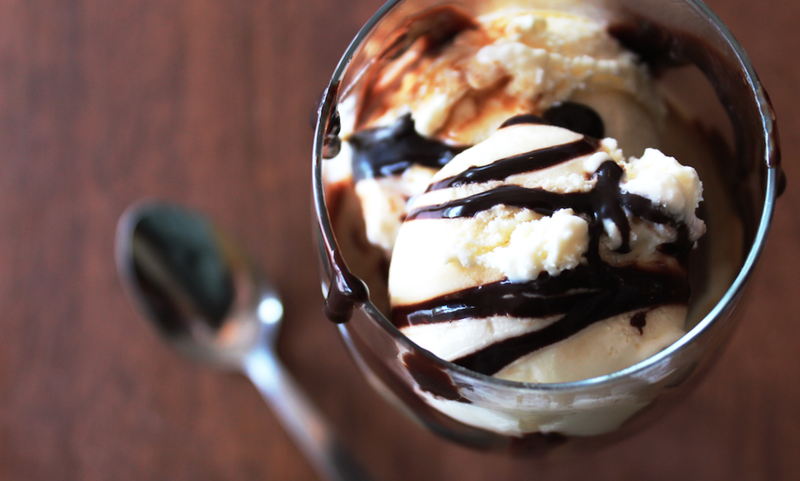 The dessert is layered with puffs of whipped cream and drizzled in Ghirardelli chocolate syrup. Trust us, this treat is as good as it looks. If you're craving something that is especially fresh and summery, try a bowl of homemade mango ice cream (left) from the Hot & Cold Café. Made with real mangoes, almond milk and coconut, the dessert is perfectly creamy and drizzled with a sweet mango puree. The café also offers a pistachio and almond ice cream, as well as a mango kulfi (right) for vegan guests. Looking for a healthier alternative? Crisp’s smoothie bowl — a sweet treat that is just about as satisfying as ice cream, but is actually chock-full of nutrition — is about to become your new best friend. Choose from four different pre-made bowl combinations, like the mixed berry, banana and peanut butter, or the green bowl packed with fruits and vegetables. If you’re feeling bold, try the “build your own” option to customize a bowl that is as colorful and delicious as you can imagine!